When I graduated from college and was desperately trying to figure out what to do with my life, I turned to books to teach me all I didn’t know about careers, decision-making, cleaning, paying bills, and more. My insatiable quest for guidance led me to read Barry Schwartz’s book The Paradox of Choice: Why More is Less. His book was a bestseller and his TED talk has been viewed over 12 million times. I think it’s fair to say, he struck a chord. He writes about the excess of choices and options we have in the world today, how this leads to decision fatigue, and how all these choices we get to (have to) make can make us miserable. The two reasons that excessive options make you unhappy (he cites the 175 varieties of salad dressing available in his home supermarket as an example). It causes you to imagine there’s a better choice out there than the one you made, which leaves you a little unsatisfied with what you have. Opportunity cost. Whenever you choosing one thing, the “cost” of making that choice is all the other things you could do with your time, money, talents, career, and resources. So, when you choose to spend a 10 minutes reading this blog, that’s 10 minutes that you can’t spend taking a walk around the neighborhood, scrolling Facebook, filing your tax return, playing with your dog — the more choices we add to what you could be doing with these 10 minutes makes reading this blog post less and less satisfying because it feels like it costs too much. The result of all this choice? Paralysis and disappointment. When perfection is the expectation, the best you can ever hope for is that stuff is as good as you expect it to be. He says that all of our choices give us the idea that there IS a perfect choice out there for us to find. There is a job that will pay us well, satisfy our ambition, create security for our families, have a great commute, wonderful co-workers, and do good for the world – you just have to find it. And if you don’t, it’s because you gave up, chose the wrong field, or couldn’t hack it. You can see how this attitude could make you unhappy: Your standards are so high that when you can’t meet them, you assume that it’s somehow your fault. 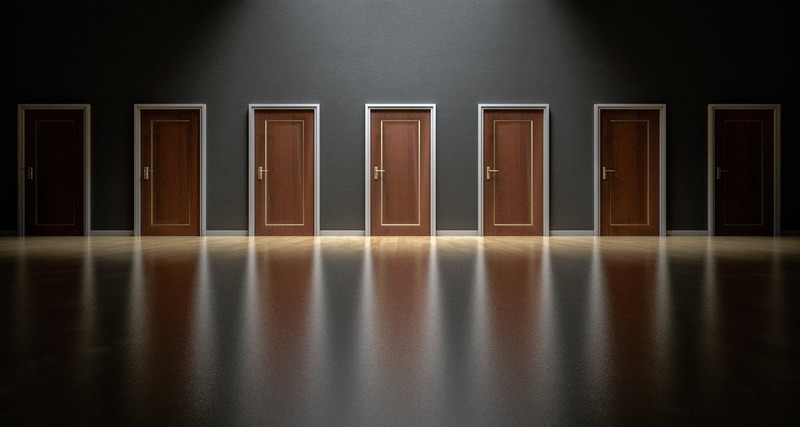 In The Paradox of Choice, Schwartz offers a number of ideas and guidelines to contain and limit our choices to help us feel satisfied with our decisions. I read this book ten years ago, and the principal that has stuck with me all this time as a guiding light and north star is the idea of figuring out what is “good enough” and choosing that. He calls this being a satisficer instead of a maximizer. A maximizer always wants to choose what is best, whereas a satificer chooses what is good enough. Satisficing is different than maximizing, not because you lower your standards, but because you define what you’re looking for. You limit your choices. It needed to cost less than $100,000. These were all do-able things at the time in the community where we live. We also wanted it to pass inspections and things like that, but those were the basic things we were looking for. The first house we looked at fit the bill. It was good enough. We looked at two other houses that almost fit the bill, but ultimately, the first house had the fenced yard, was in a neighborhood with sidewalks, was more room than our apartment (but not so much room that we would have lots of empty room), and fit in our budget. We put an offer on it, and that is where I live now. I am sure that I could have spent months driving through neighborhood after neighborhood. We could have had a new house built custom for us. We could have gotten a house with an updated kitchen, better flooring, a neighborhood pool. There are many more choices that could have mattered (and might matter more to me now if I was buying a house today). But ultimately, what was important to us was having more room, having a living situation that better accommodated our large dog, and owning instead of renting. We got those things, and I’m very satisfied with my house. Even though I know there are “better” homes out there, this is my home, and it is good enough. I find that using this principal most of the time saves me a lot of angst and FOMO (fear of missing out). I don’t have to worry that everyone or everything is doing better than I am, because I have what is good enough for me. I would by lying if I said that I don’t have hours (even weeks) of panic about whether or not I could have made different choices in college that would have led to a different career, or if maybe my life would be way better if I lived in a different place, a different reality. When that happens, I try to imagine that there’s an alternate universe where those things happened, and I wish my alternate self well. Because that is the best we can do.